Well, it was a busy time, but I got through it *just* and now have a day off today. Yay! I don't tend to harp on about my day job, but let's just say it was extremely busy but altogether a great time (now that it's over! ), so hence my EXTREME lack of blogging and crafting here. As I was thinking of learning crocheting, to make little toys for little friends, but discovered I can knit little toys instead! 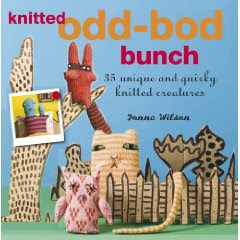 Much easier for me, and whilst I know my knit and purl stitches, I don't know a lot of the terms, (skbo or kbtl - I'm making them up now, I have a puppy on my lap and can't run over to pick up the book) BUT the knitting lingo is explained in the back of the book. The photos are gorgeous, and I'm making a shorter tummied daschund, for my little fairygodson in the UK. I'm making her up in black wool, like my little Doggie Darling! Counting the stitches is the worst part, but you can see the shape straight away and I've finished the body of the toy and up to her little ears (hope to finish tonight during telly time). But it's my reward for getting my last year's tax return in in time to get stimulated by K Rudd! Shoe Reward! 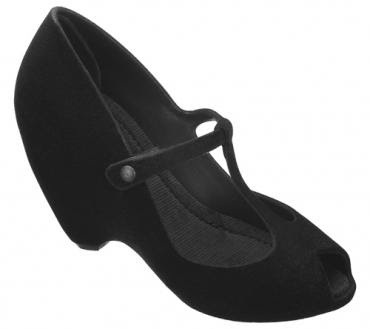 So shoes and tights I can't make just yet, so fine for the WRP (no new clothes, just what you can make etc). 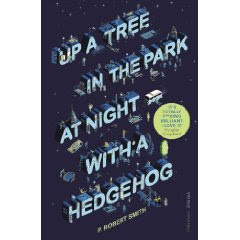 BOOKY NEWS: I finished "Up a Tree in the Park at Night with a Hedgehog" by Paul Robert Smith (Hee hee, Robert Smith) and it was pretty good. I read it only because my all time fave author Douglas Coupland had a quote on the front, so it wasn't brilliant but a fun look at relationships. GARDEN NEWS: My banana tree is now taller than me, my coriander seeds sprouted with great success as did the snow peas. I have absolutely no idea how to grow snow peas, so have left up the tomato stakes with twine between them, so we'll see. Phew! Also, I'll promise more blogging! I miss it! I look forward to reading your blogs, I'm off to check you out now and see what's been going on! Bet you'll be on a roll now with those kitted crazy critters...and those shoes...they're PERFECT!